Hours after he attacked a free speech event in Copenhagen Saturday, an event which featured an artist who had caricatured the Prophet Muhammad, the Islamic terrorist attacked a synagogue killing one Jew who was out side guarding the synagogue bringing the total for his rampage, two dead and five (all cops) injured. He “may have been inspired by the events that took place in Paris a few weeks ago”, Jens Madsen from the Danish Security and Intelligence Service told reporters, reports AFP. He said the man may “generally have been inspired by militant Islamist propaganda issued by IS [ISIS] and other terror organisations”. Officers are investigating whether the man travelled to Syria or Iraq, where radical Sunni organisation ISIS hold stretches of territory. The man is believed to be responsible for an attack on an event on freedom of speech, attended by the French ambassador and the Swedish cartoonist Lars Vilks, in which a 55-year-old man was killed, and a subsequent attack on a synagogue in the early hours of Sunday morning, in which a 37-year-old Jewish security guard was killed. Five police officers were wounded in the attacks. But we know that the stories about his ISIS connections must be false because President Obama says that ISIS does not attack Jews. “Jews should have been included by the White House,” he said. Recently both the White House and State Department refused to acknowledge that the attack on the Kosher supermarket in Paris had anything to do with Antisemitism, both changed their mind after being criticized. 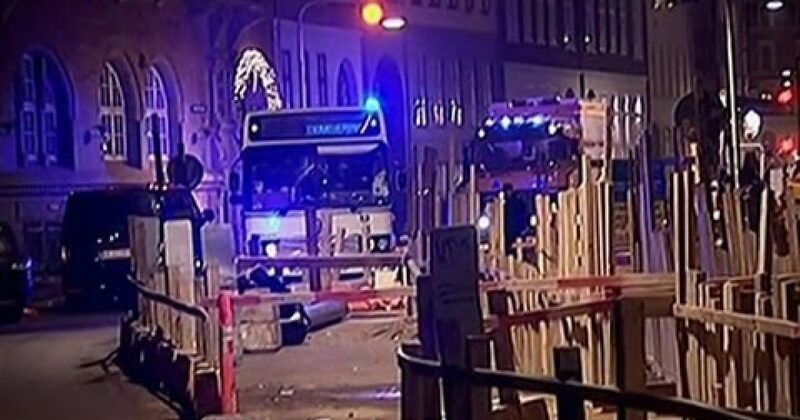 Obviously the Danish Security and Intelligence Service must be wrong in connecting the Danish terrorist with ISIS, or the terrorist attacked the synagogue by accident, because President Obama says ISIS doesn’t target Jews….and President Obama would allow his administration to say something like that unless it was true! Right?